Last week (oct 17 2010), Lincoln (one of the Corelan Team members) informed the other team members about an ongoing hacking challenge (HaXx.Me #03) organized and hosted by MaXe (@intern0t). When I saw his message, it was already Sunday night and I knew I had to get up early the next day. Nevertheless I chose to have a bit of fun before going to sleep. Ok… After few seconds looking around and trying to spot any hint in the picture I decided it’s time to see if the source can tell something useful. A quick search on Google revealed the following interesting OSVDB entry : http://osvdb.org/23. version.bind text = "So you finally figured it out.. You need to use me as a nameserver and then browse to google.com in order to continue your journey." Now how could we make it more useful? Thanks to Nullthreat for providing the php reverse shell. We set up a listener, included it in the data parameter and wondered if the shell will show up. The next step is to find the key, obviously we didn’t have permission to read the file, so poking around a bit we found a file called localbackdoor in /home/scripts, it was a listener to port 51 owned by root. The message says: I won the HaXx.Me #03 competition and I should be proud! Nice wargame, good exercise & congrats to the winners of the challenge ! 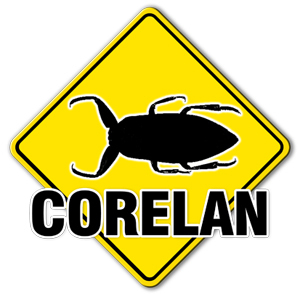 © 2010, Corelan Team (rick2600). All rights reserved.